Bluetooth headsets are all about convenience and versatility.. With a Bluetooth headset, there is no need to worry about tangled cables or being restricted from moving around because of a wire attached to the device. You have freedom to move around and yet enjoy high-quality audio. There are many types of Bluetooth headsets on the market and buying one is relatively easy. However, buying a good Bluetooth headset that is reliable is quite tricky. We’ve done the research and shortlisted the best of the best Bluetooth headsets for you. This article focuses on Bluetooth headsets only. If you want specific information on particular types of headsets, there are articles on the Best Bluetooth Earbuds, Best Bluetooth Headphones for Running and Best Bluetooth Headphones. Bluetooth gives you maximum convenience. Any time a device has a wire that needs to be attached, you’re restricted by the length of the cord. With Bluetooth technology, you can move about freely. The headset can be paired with several different devices such as your phone, computer and even TV. You can easily use all the different devices without removing your headset. This is multitasking at its best. Bluetooth headsets can also have excellent sound and voice quality. Just because you’re using a wireless device doesn’t mean that you need to sacrifice on sound quality. In order to get the best out of your Bluetooth headset, you MUST invest in a good one. That’s why we’ve sorted through many different Bluetooth headsets, tested them out and reviewed them below for you. Mono Bluetooth headsets are perfect for business calls. These are very common among businessmen, stock brokers, etc. You’ll usually see them with one piece in the ear. That leaves the other ear free to hear what’s going on around them. Stereo Bluetooth headsets are best for music, movies, gaming, etc. They take the sound experience to a whole new level. While you can accept calls and also switch to listening to music, you can’t really be wearing these headphones at work. They’re more for entertainment. The dual earpieces are to create an out of this world sound experience that immerses you. How do I choose a Bluetooth headset that’s perfect for me? You’ll notice that with the number of brands and models on the market, you have a wide selection of choices at your fingertips. Different colors, prices and features will mean that you can always find one to suit your preferences. There are a few points to consider before you go ahead and buy a Bluetooth headset for yourself. Professional use. You must know what you’ll be using the Bluetooth headset for. If you plan on using it for work, you will need a mono headset that fits in with any business situation. A few examples of headsets that are ideal are the Bose Series 2 and the Plantronics Voyager Legend. While the Bose Series 2 works best with mobile phones, the Voyager Legend UC is more versatile and works well with computers and phones. Phone calls and music. If you’re looking for a Bluetooth headset that can handle both calls and music well, then models such as the Kinivo BTH240 and the LG HBS-700 Tone work perfectly. The Kinivo are on ear headphones and LG are ear headphones. You do have choices. Price or quality?. Generally, the more expensive the headset, the more features and functionalities it has. However, you can still get very reliable Bluetooth headsets even if you’re on a budget. For a low price, our best recommendation for a business headset will be the Mpow® FreeGo. 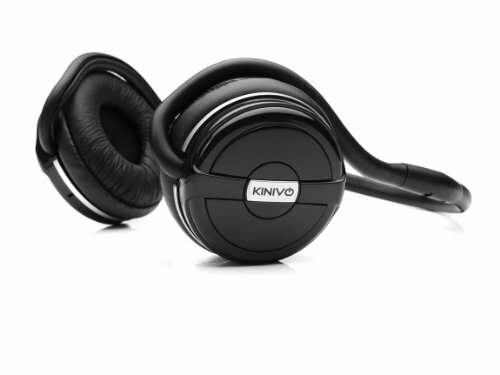 If you’re looking to use the headset for calls and music, the Kinivo BTH240 is inexpensive and still a fantastic headset. Listed below, you’ll find 7 of the best Bluetooth headsets on the market. Pick the one that is best suited for your needs and budget. You will be very pleased with these headsets. When it comes to mono headsets, the Plantronics Voyager Legend UC B235-M has been voted the top mono headset over and over again by most experts and users alike. It has excellent all-around voice communication that can’t be matched by most headsets. 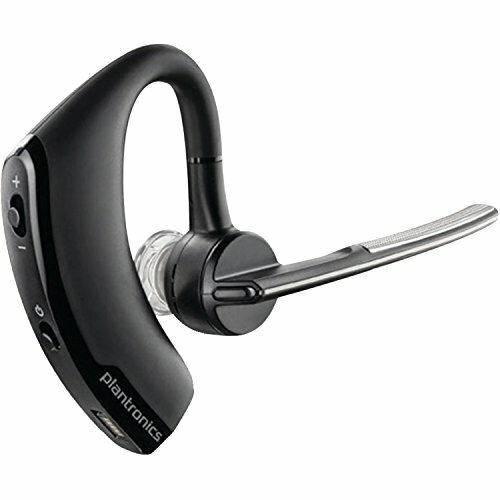 Plantronics created a headset that was good enough to be used casually in the office or in an intense environment such as a call center. The Voyager Legend UC is slightly bigger in size than most mono headsets and yet it is lighter. It only weighs 0.6 ounces and after wearing it for a few minutes, you’ll forget that it’s even in your ear. It’s that unobtrusive. Pairing the Voyager Legend UC with other devices is pretty straightforward and our tests showed that it worked very well with most phones and computers of different make and model. The range was good and had a strong signal that passed through several walls. This headset was made for calls and the sound quality when it comes to calls is crisp and clear. The headset has very effective noise cancellation and regardless of how noisy the environment is, the person on the other end of the call will hear every word that you’re saying. You can mute the mike, adjust the volume, and answer calls, etc. by using buttons on the headset. The layout is simple and after some use, you’ll instinctively be able to use the buttons by feel. The ear hook fits securely and firmly. Both the ear hook and boom are capable of swinging around 180 degrees which means that you can use the same headset on either ear. One charge get you about 11 days of standby time and 7 hours of talk time. That’s very good. Another cool feature is that the Voyager Legend UC is able to detect whenever you put the headset on or take it off. If you have a call coming in and you attach the headset, it will automatically answer the call for you. Take off the headset and it sends the call to your phone. This is truly amazing. Like many other headsets, the Voyager Legend UC has voice announcements to let you know your battery power, etc. It also allows for voice commands that allow you to make a call, cancel, redial, check your connectivity, battery strength, etc. This headset is so fantastic that we had to include the video below to show you how it works. If you’re looking for a professional Bluetooth headset that has outstanding call quality, ease of use and is comfortable, this is it. Since it’s so good, it costs a little more than the usual headset but it is worth every cent and more. This headset was made to be used with mobile phones. It is small and packs a punch. You can easily store it in your pocket and whip it out when you need it. The noise-cancellation feature will allow you to not only make clear calls but also hear what the caller is saying even if you’re in a noisy environment. The design is sleek and stylish. The matte finish combined with the silver details and shiny black plastic gives it a very professional look. It fits securely and comfortably and pairing it with another device is fast and easy. 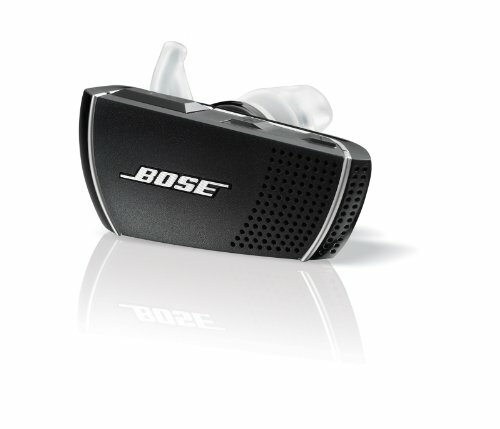 Just like all Bose products, you can expect superb sound with this mono headset. It can handle music, calls, podcasts, etc. The sound is well balanced, rich and clear. Bose is really unparalleled when it comes to sound quality. The Bose Series 2 also has a feature that allows it to detect the sound level of your surroundings and adjust the volume on your headset so that it always maintains a good sound experience for the user. The adjustment is so gradual that it feels natural and is imperceptible. One charge gets you about 5 hours of play time. There are little display lights at the back of the headset to let you know your connection status and battery strength. You can get a range of about 20 feet with this headset. If you to use it on your right ear, you need to get the version that fits the right ear. If you prefer to use the left ear, you’ll need another version. Unlike the Plantronics Voyager model, you can’t use one headset for both ears. Among all the headsets, the Bose Series 2 is the most expensive. You’re paying for comfort and superior sound quality. If your budget allows for it, this is a great headset to get and is an excellent investment that will last for years. If you’re looking for stereo headsets, the LG HBS-700 Tone is the best out there. It works well for both music and calls. It’s also very portable due to the in-ear design and the behind-the-neck design gives you a wide range of motion too. This is a very comfortable headset to wear because it is so light and fits the contours of your neck. You can store your earbuds in little magnetic sleeves on the neckband so that they don’t dangle around when not in use. You can easily answer calls, play and pause music, adjust the volume, etc. with buttons that are located on the neckband. 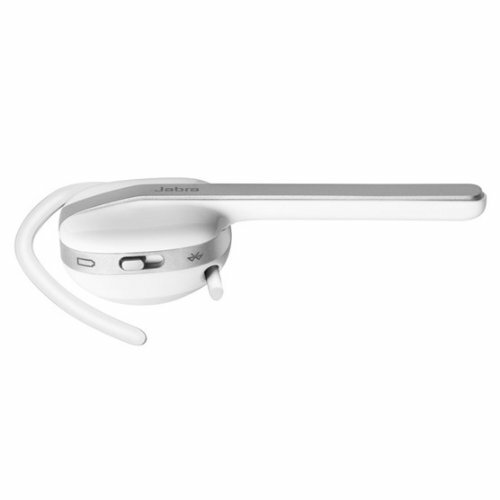 You can even set your neckband to vibrate when you receive calls. In terms of sound quality, this headset is awesome. The sounds are clean, clear and well-balanced with a good bass. The sound quality of calls is very good too. One charge allows for 10 hours of play/talk time or fifteen days of standby time. You will not need to charge this headset very often because of its battery strength. 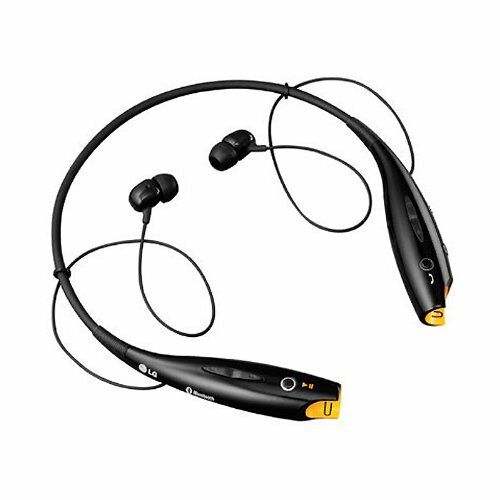 If you’re looking for a stereo Bluetooth headset, it doesn’t get better than the LG HBS-700. It looks great too. Get it… you will not regret it. This stereo headset is almost as good as the LG HBS-700 but we were just more impressed by the LG model. Nevertheless, the Kinivo BTH240 is an extremely popular model and for good reason too. It is an all-rounded headset. It handles calls and music equally well. The sound quality is great, the headset is comfortable and the price is really value for money. Talk time is great too. One charge gets you about 10 hours… so you can talk/play for a good 10 hours before recharging it. This headset sits behind your head and because it’s a pair of stereo headphones, the sound quality is very good. The earpads are soft and comfortable. Good connectivity and range. What more can we say? For the really low price, you’re getting a very good deal with the BTH 240. You can check out a more detailed review or the Kinivo BTH240 here. This is a mono headset that is best suited for mobile phones. To be honest, there is no way the Mpow® FreeGo can beat the Bose Series 2 or the Plantronics Voyager Legend UC when it comes to performance. However, those are much more expensive models and this is where the FreeGo really scores points. It is a clear winner when it comes down to value for money. When you first look at the FreeGo, it seems a little unwieldy and we were a bit hesitant and expected it to be uncomfortable. We were pleasantly surprised at how comfortable it turned out to be and had no problem wearing it for hours. Considering the price, the audio quality is exceptionally good. We were able to use this headset for calls. The noise-cancellation was reliable and the audio was clear. We wouldn’t recommend it for music though. 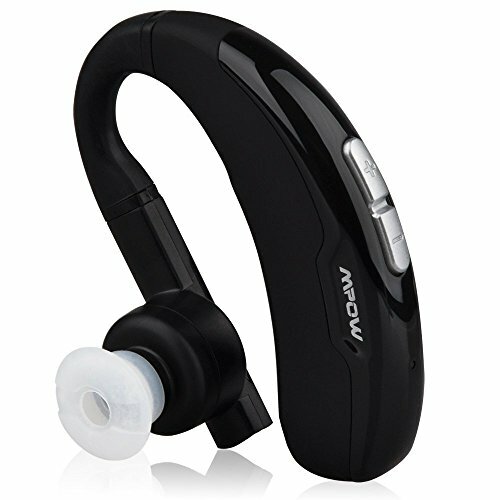 If you are working with a limited budget and you need a good mono Bluetooth headset the Mpow® FreeGo will be a good buy. You get a lot of value for such a low price. This headset was mentioned in our review of headsets for truckers and it topped the list. It is a very versatile headset and the VXi BlueParrott B250-XT+ has a very good wireless range that works well for almost any environment. You can use it in busy call centers, in posh offices, noise alfresco cafes, in noisy subway trains… anywhere. It’s that powerful and probably has one of the best noise-cancellation technologies that you can expect in a headset. Your caller will hear your voice crystal clear. The headset is lightweight despite looking bulky. It’s comfortable and the over-the-head design is secure and comfortable. 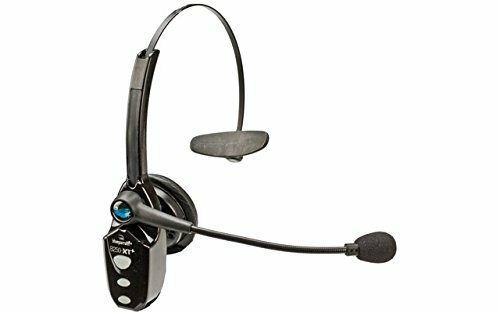 The headset has a gooseneck-style mic that is unobtrusive and stays in place without you needing to constantly adjust it. You get an unbelievably long 66 foot range and one charge gives you 16 hours of talk-time. Like most headsets, it has push-button functions and voice activated commands. This is one of the most versatile headsets that you can get. This mono headset is ideal for people who love to multitask. The Jabra Bluetooth Headset for Phones and Tablets will allow you to switch between different tasks. Going from answering calls to listening to music to dictating on your computer is a breeze with this headset. It even maintains a strong connection if you’re driving or on a bike. Since it is small and lightweight, it is very portable. It has a feature to automatically adjust the volume based on the noise in your surroundings. So, you’ll always have clear music or voice quality during calls. This set is just at home in a noisy setting or a quiet environment. You also get the flexibility of wearing this headset on whichever ear you choose. You can also change the height of the ear hook so that it fits you perfectly. You’ll not get tired of wearing this headset. Sound clarity in this set means that you will be able to hear GPS directions, music, calls, audiobooks, podcasts, etc. very clearly. Even when you’re streaming video, your audio will be on point and you’ll not miss a thing. This is a headset that will please most people. If you like the way it looks, and the price suits your budget, you should get it.